When it comes to picking out a bagel, you have several choices. 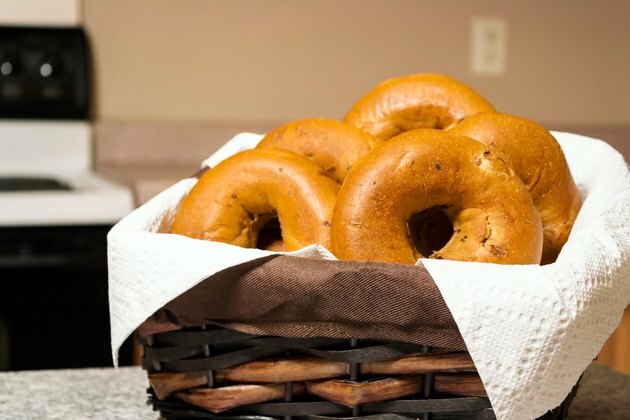 Bagels come in many different varieties, with some -- such as whole wheat -- healthier than others. Bagels come frozen, refrigerated or fresh, and whether you prefer your bagel toasted or soft will determine how to warm your bagel. 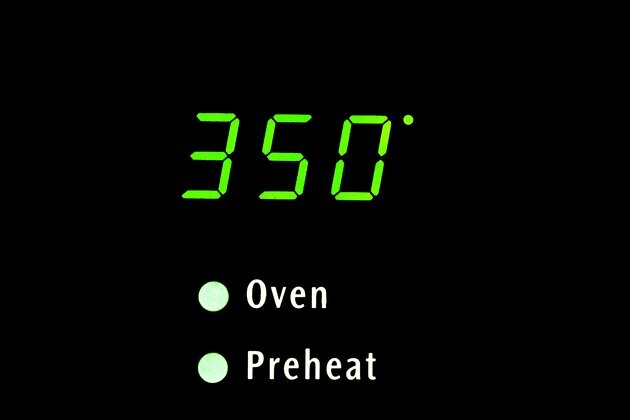 If your bagel is frozen, start by putting it in the oven at 350 degrees. You do not need to preheat your oven. You can also use a toaster oven. The size of your bagel will determine how long your bagel needs to stay in the oven. If your bagel is small, it will only take eight to 10 minutes to warm your bagel. A large bagel will take up to 12 minutes. Now that your bagel is warm, slice it in half. If your bagel is still partially frozen or you want it toasted, put it in your toaster. If you do not want your bagel toasted, wrap it in a damp paper towel and heat for 10 to 15 seconds in the microwave. 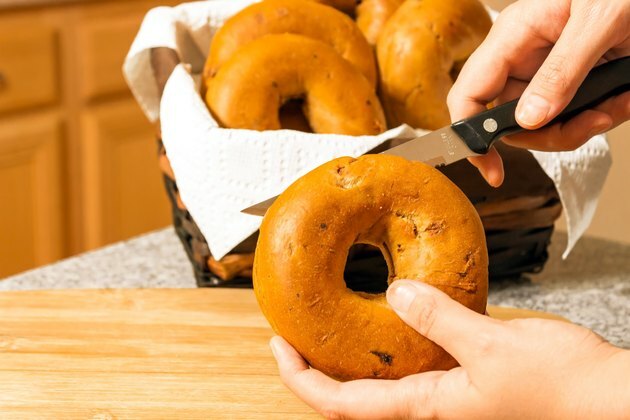 If your bagel has been refrigerated or is fresh, start by slicing it in half. From here, you can put it in the toaster if you prefer it toasted. Just how toasted you like your bagel will determine how long you leave your bagel in the toaster. Use the microwave to soften your bagel if you do not want it toasted. After your bagel has been sliced, wrap the bagel in a damp paper towel. Heat it in the microwave for 15 to 30 seconds. If you find that your bagel is stale but it does not have mold growing on it, you can make it taste fresh again. The stale bagel will feel hard and is almost impossible to bite into. 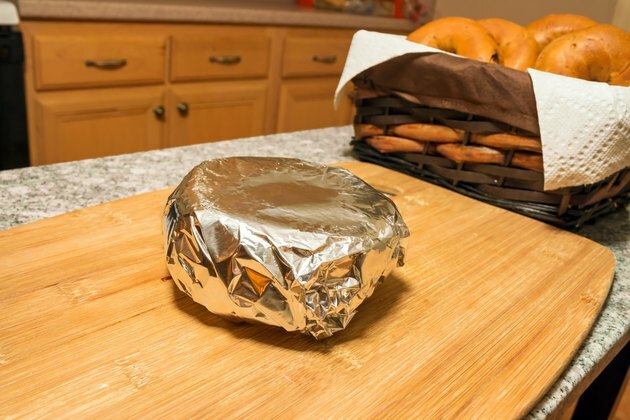 Wrap the bagel in aluminum foil with a few drops of water before placing in oven to warm for eight to 10 minutes. If you want it toasted, take the bagel out, slice it in half and then place it in toaster. If you do not want your stale bagel toasted, wrap a damp paper towel around the bagel and warm in the microwave for 15 to 30 seconds. When using the microwave to warm your bagel, do not warm it for over 15 seconds because your bagel can become tough and chewy. If you do not eat fresh bagels within two to three days, refrigerate or freeze them before they become stale or moldy. 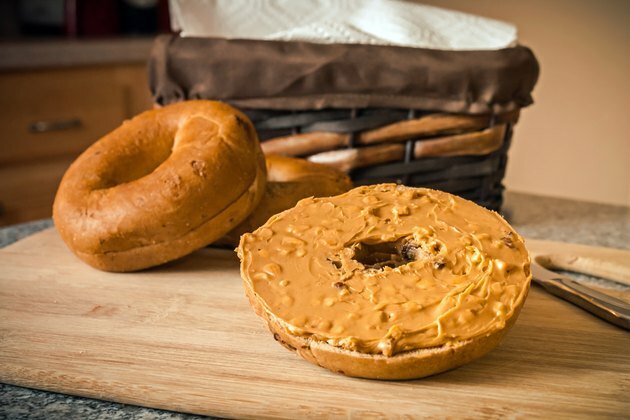 To flavor your bagel, add peanut butter or cream cheese. This will add protein to your meal and keep you fuller longer.